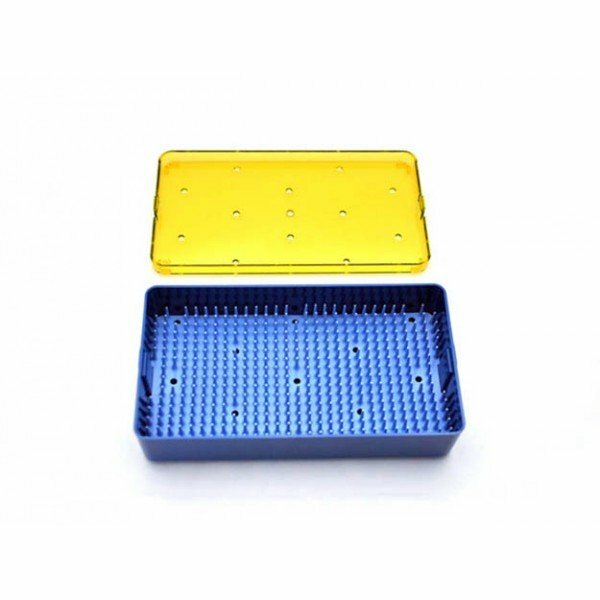 Micro instrument sterilization tray includes base, lid and mat. Base is deep to facilitate an insert tray (not included). 4 inches by 7.5 inches by 1.5 inches.